The Serpentine Galleries are two small but perfectly formed sanctuaries dedicated to art, architecture and photography in the heart of London. Two dynamic centers championing and showcasing the creative energies of one of Europe’s most innovation-driven cities. Entering Kensington Gardens via Lancaster Gate we walk through London’s signature luscious green. Connected by the bridge running through the Serpentine Lake that divides Hyde Park in two, the galleries are located a pleasant five minute walk from each other. It only takes a few steps through one of the city’s iconic Royal Parks to find yourself inside a buzzing cultural center. As we approach the entrance, we are welcomed by Ian Hamilton Finlay’s permanent commission, dedicated to the memory of Diana Princess of Wales, one of the institution’s most distinguished patrons. 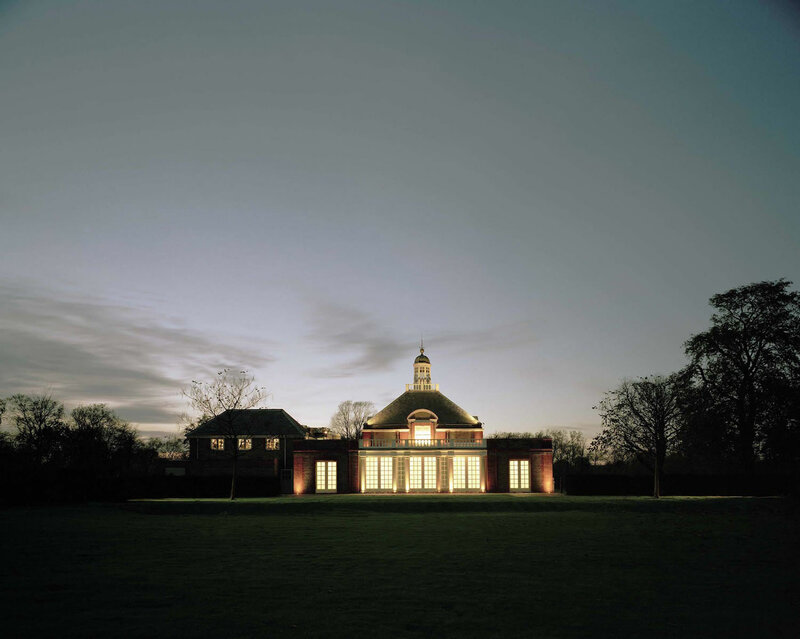 The Serpentine Gallery, the oldest and longest serving of the two, was established in 1970 and is housed in a restored 1930s tea pavilion, the work of architect J. Grey West. The gallery holds exhibitions, educational workshops and a wide range of public events that bring in over a million visitors each year, displaying the best of modern and contemporary art, in a constant dialogue between past and future. Among the over two thousand artists which have exhibited work here, we find international heavyweights such as Man Ray and Jean-Michel Basquiat, Andy Warhol and Damien Hirst, Jeff Koons, Marina Abramović. The Serpentine Sackler Gallery was established in 2013, giving a new lease of life to a 1805 grade II listed building. The Sackler Gallery is a magnificent integration designed by Iraqi-born architect Zaha Hadid, successfully bridging together innovation and tradition with light, voluptuous curves that interact playfully with the austere reclaimed building and its natural surroundings. Two connected spaces, therefore: The Magazine, which houses a restaurant, a 19th Century former gunpowder store used as a military facility until 1963. The second is a tensile structure designed by Hadid which extends out from the body of the old building, acting as an elegant and contemporary expansion. The Sackler is a perfect example of Hadid’s aesthetic, with its frequent use of tension-carrying structures, coated fibreglass membranes and a spiralling steel frame. The Iraqi-British architect and the gallery have a history of collaboration that dates back to the first Serpentine temporary pavilion, built by Hadid in 2000. Initially conceived as a one-off project, the Serpentine went on to commission a different architect to create a new pavilion every year. Each structure is designed and built over a six-month period, erected on the lawn that surrounds the exhibition space, and is open to the public throughout the summer. Other Serpentine Pavilion architects include: Toyo Ito, Oscar Niemeyer, Kjetil Thorsen, Frank Gehry, and Sanaa. The upcoming 2016 pavilion is the work of Danish architect Bjarke Ingels; a reimagining of the classic, humble brick wall, released from its bi-dimensionality, ‘unzipped’ and stretched into a new form which transforms the wall into a capacious cavity. In the architect’s own words: “We have attempted to design a structure that embodies multiple aspects that are often perceived as opposites: a structure free-form yet rigorous, modular yet sculptural, both transparent and opaque, both solid box and blob. We decided to work with one of the most basic elements of architecture: the brick wall. Rather than clay bricks or stone blocks, however, the wall is erected from pultruded fibreglass frames stacked on top of each other.” A welcoming space worth experiencing first hand, one that explicitly references the other, note-worthy pavilion designs that preceded it: a visual summary of fifteen-years’ worth of the Serpentine’s history. The 10th of June this year will see the addition of four extra summer houses, complementing Bjarke Ingels’ pavilion, four exciting new spaces for visitors to explore and interact with. Four extra reasons to pay a special visit to these two unique galleries in the heart of Kensington Gardens. 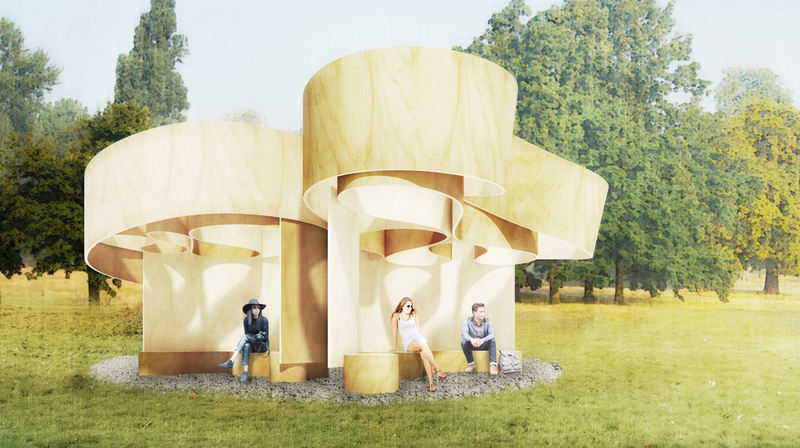 From June 22nd young aspiring architects will get the chance to design their own personal pavilion. For more information, check out the website www.serpentinegalleries.org.